Are you looking out of the window at your backyard this season and thinking, ‘What if?’. Even the most stubborn and small backyard can be transformed into an oasis of your dreams. Such a transformation does not have to cost the earth. It doesn’t even have to take too long. Once you have decided exactly what you want, you’ll be able to ring the basic changes in no time at all. You could be out there enjoying the best backyard experience in a matter of weeks. Here are a few tips to get you started on a transformation that you and your family will love. There’s something about having access to water in our backyards that strikes a chord with just about everybody. Water is great to be around. It is soothing, calming and refreshing. There must be billions of children who have joined in the refrain, ‘can we have a pool dad?’ Well, you can. A swimming pool does not have to be an Olympic-sized affair. They can be installed with a minimum of fuss. If it’s a workout you want you could get a lap pool or simply opt for a smaller shape that will give you somewhere to cool off and the kids space to play in. Other water options include a spa pool with all the trimmings. You don’t have to have any special plumbing installed, and a cover keeps them safe and warm. These are great any time of year. Imagine a winter’s evening underneath the stars! A simple water feature or fountain will give you a lovely focal point. The sound of running water is always soothing. 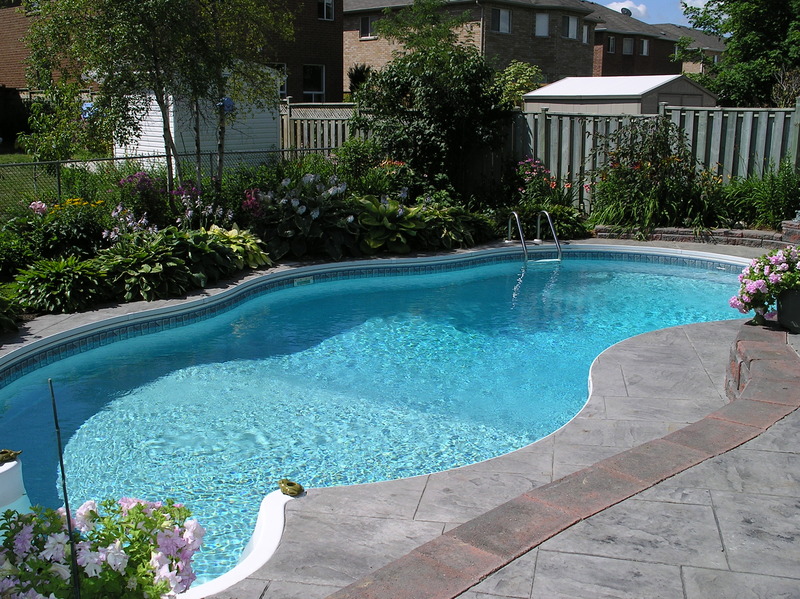 Any of these options can be installed with stunning landscaping design ideas. You could surround them with a purpose built deck, or even bring in some exotic plants to lend a tropical feel. There are some seriously hot ideas for your outdoor kitchen. You could have everything you wanted from a preparation area, sink and working outdoor oven. How about a fantastic site for the BBQ of your dreams? Pergolas and covered areas mean you can cook outside pretty much all year round. It’s easy to keep warm with an outdoor fireplace sending sparks into the night sky. A fire pit can be a stunning focal point. Seating can be arranged around it for a real tribal affair! Kids of all ages love pizza and cooking your own in a wood fired pizza oven is a fabulous experience. Pizza never tasted better. You can build your pizza oven or simply install a ready to go unit. A simple, minimal affair could just be a matter of a lovely setting for a table and chairs. Atmosphere is everything, and you could focus on creating an intimate area surrounded by fragrant flowers and shrubs. Outdoor lanterns with candles make stunning visual focal points as well as helping to keep the bugs away. A patio heater can keep you warm when the evenings get chilly. Your water feature could be as simple as a lily floating in a half barrel. Give yourself free reign to dream, and let your imagination wander. In no time at all you could be following it down into the garden. Adding a good pizza oven too cook for your guest and yourself is a good investment in putting in the backyard. I like your idea of eating out! I’m planning to buy a Wood Fired Oven for my backyard. I’ve checked a few online and found some good reviews for ilFornino Wood Fired Ovens, so I’m thinking to buy this oven. What you suggest?? Flowers are my favorite thing to garden. I enjoy starting from seed even though it takes forever. Thanks for sharing this amazing post. It’s really great idea for outdoor. This is a very informative and helpful post. Your idea is really helping me. I will try to same work. Thank you for shear a great article. I agree that a patio heater can really add a certain something extra to any outdoor area. Had a friend with a north facing garden that wouldn’t dare stay outside past 4ish in the summer. He splurged on a patio heater and now spends most evenings out there with the kiddos.